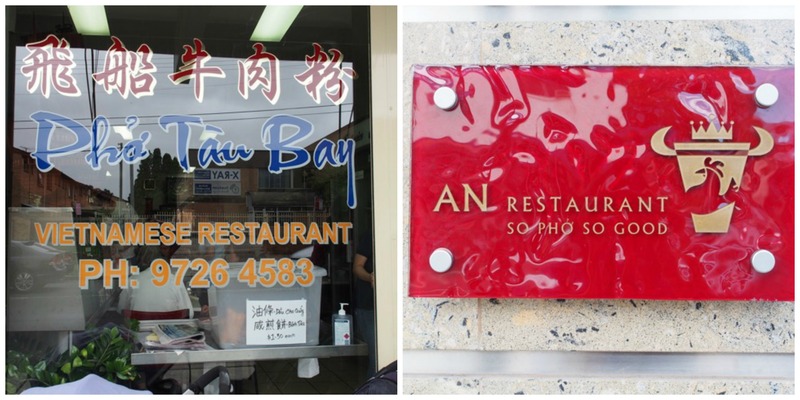 On one corner you have An Restaurant in Bankstown. It has a tagline (yup, you know it’s a pun)…. So Pho So Good. I’m not sure this pun works, but hey, we’re about the food. This restaurant has become so well known that it has grown into a 200+ seating modern shiny restaurant serving only beef or chicken phở. And still, there are queues. 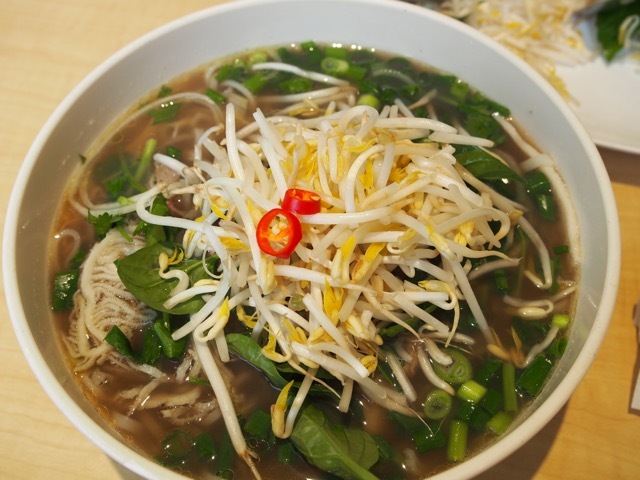 The phở are on the pricey side, – with a medium at $14 and the large, a dollar more. 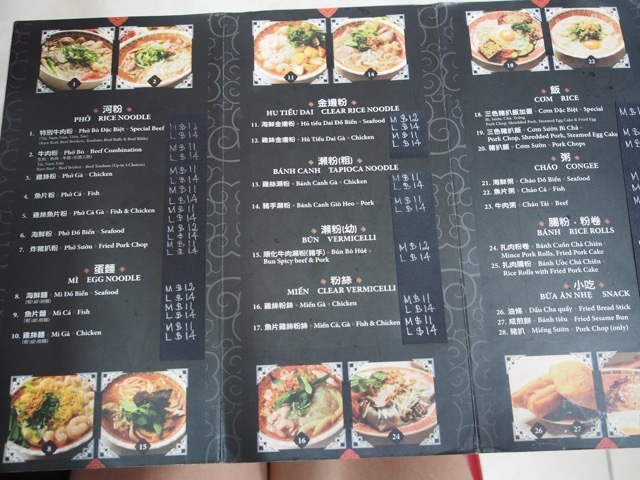 Don’t look for paper menus; the menus are on large signboards around the restaurant. Most of them are in Vietnamese, but I’m sure I spied at least one English board. The service here is lightning fast; as soon as you’re seated, tea is served and a waiter waits impatiently for your order.The garnishes provided included lime, raw bean sprouts, cinnamon Thai basil, Hoisin sauce and a bowl of bright red freshly sliced chillies (warning, these are very hot, mix one slice through before attempting more). I went for my usual phở with tripe, and BL had the beef combination, which includes rare beef, cooked beef, tendon and tripe. First, the soup. This was clean and flavoursome, though not as nuanced as I would have liked. It seemed, dare I say it, ordinary? There was a very generous amount of finely shaved, tender delicious meat, and the noodles were perfect. The tripe though, was disappointingly rubbery. 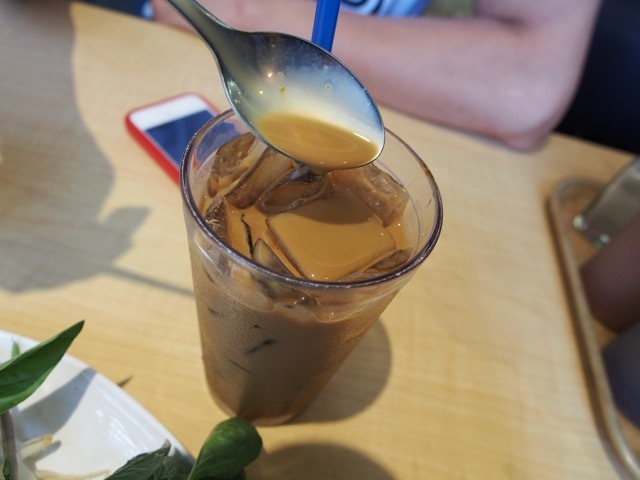 The cà phê sữa đá (iced Vietnamese coffee) was excellent, so thick and strong it was like heavenly coffee syrup. As soon as you’re done, hail a wait staff, and they will settle your bill at the table. Bring cash, I didn’t see portable eftpos machines. 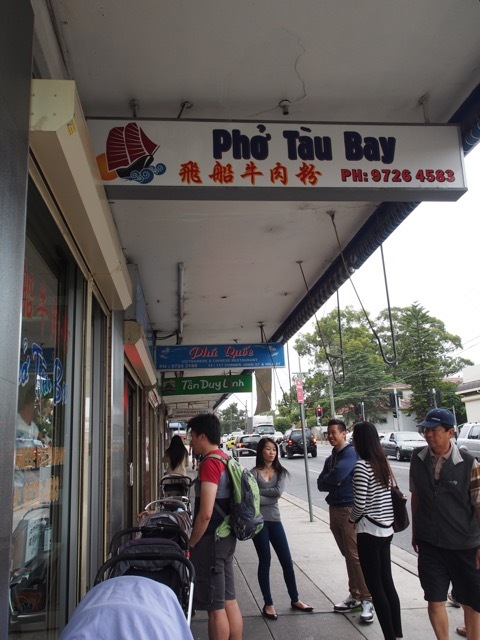 On the other corner is Phở Tāu Bay, the venerable pho restaurant in Cabramatta. Its tagline is (wait for it….) 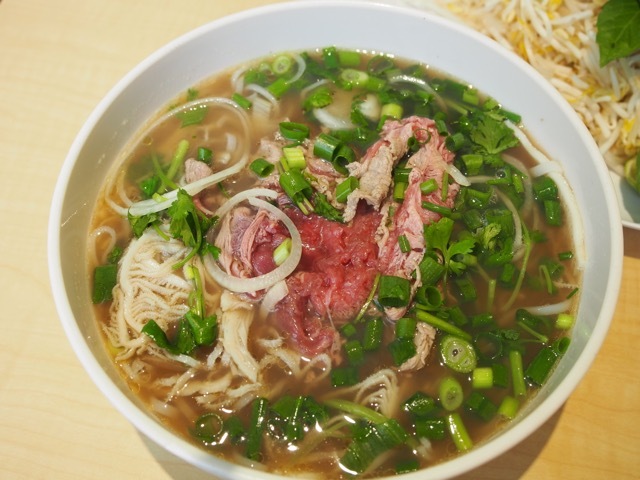 Best Pho Sure. Nice. 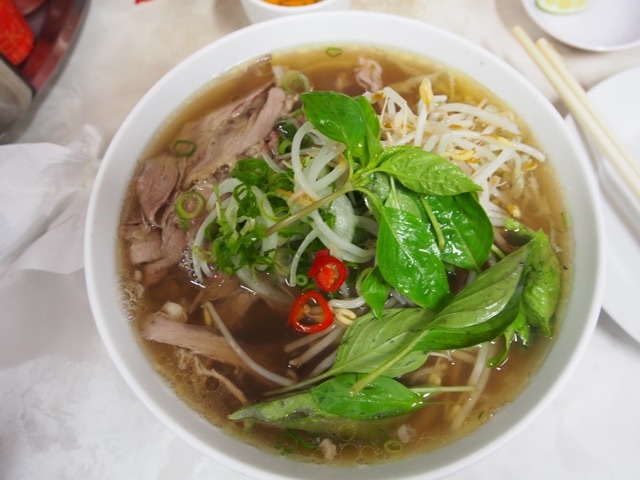 You can also get other dishes at Phở Tāu Bay, such as seafood phở (? ), other noodles (tapioca, vermicelli) and rice dishes. There is always a queue (and a lineup of prams) outside at this small restaurant, but you won’t have to wait long. 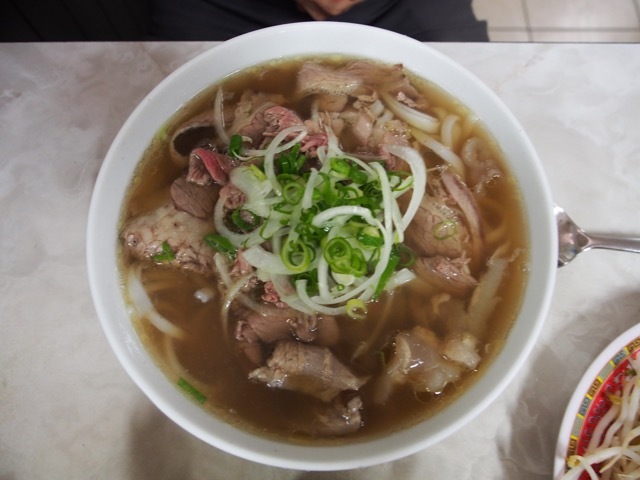 I went for my usual rare beef and tripe phở ($11) and BL had the special (which is what I would call combination, but they term that differently here). The soup was excellent, well-spiced and flavoursome. The noodles were just right, the tripe was perfectly tender (a serious feat to do well), though the rare beef was a bit chewy. 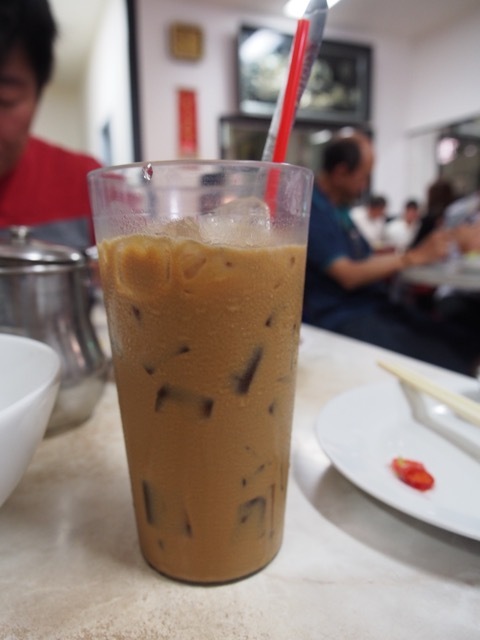 The cà phê sữa đá was good as well, though not as strong. 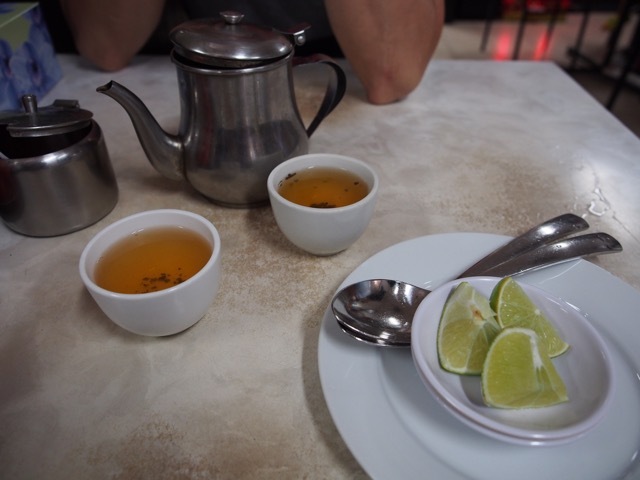 I prefer Phở Tāu Bay’s interpretation. 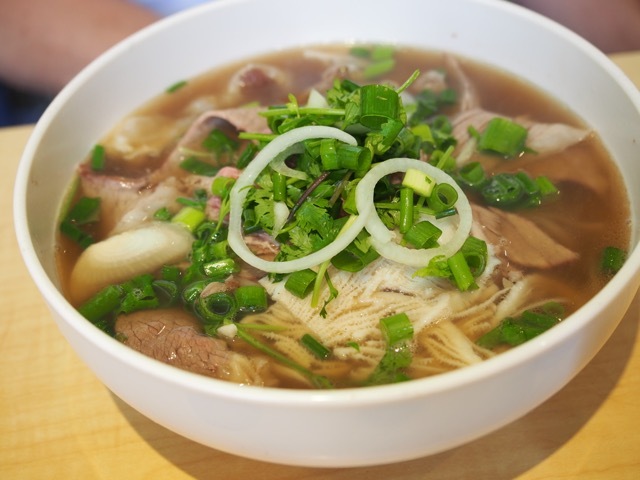 The biggest factors I judge on are the flavour and savouriness of the soup base, perfectly cooked noodles (overcooked noodles make for a sad bowl of phở) and the tenderness of the tripe. I know, you’re probably thinking, tripe? Seriously? Trust me, it just works surprisingly well in phở. 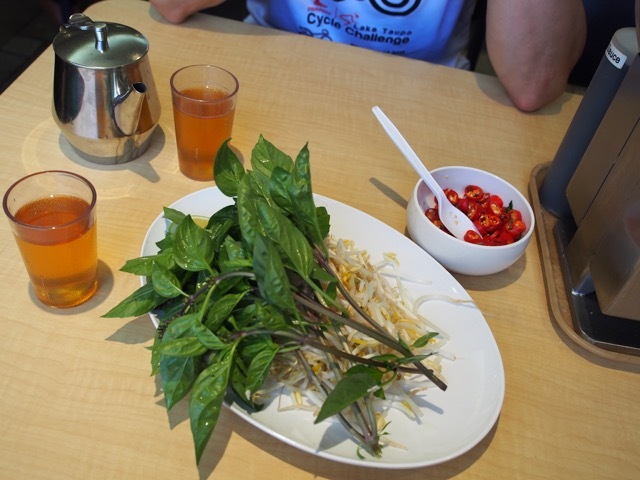 I also had a great phở experience at Pho Ann, Cabramatta, which I would pick to be better than An Restaurant at around ⅓ cheaper.